We have a recurring dystopian nightmare about 99-percenters fighting to the death for the entertainment of 1-percenters. Think of early Christians getting thrown to the lions for the viewing pleasure of the Roman aristocracy. By 2018, there’s a global “corporate state.” The Energy Corporation globally controls access to all transport, housing, communication, and food. 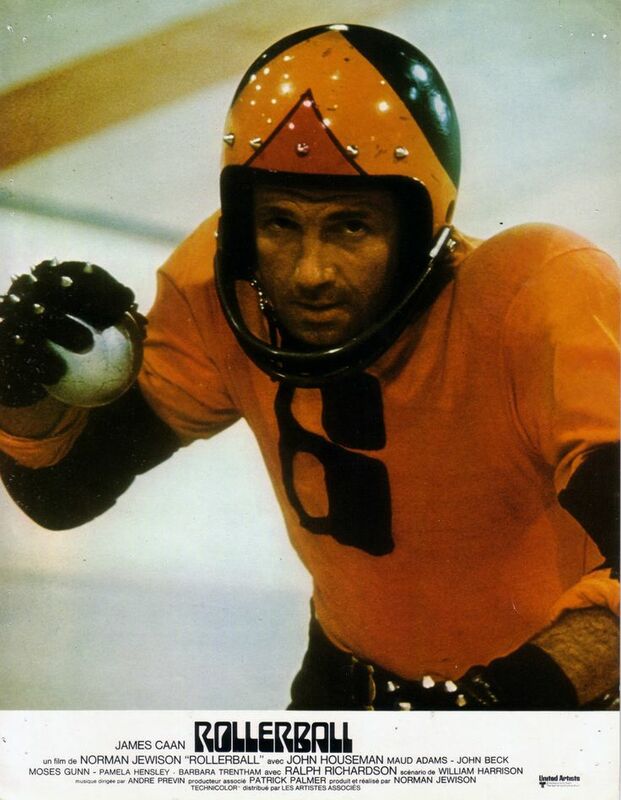 Wars and sports no longer exist, but there is Rollerball. Kind of like roller derby. Teams are named after their respective cities and owned by the global corporations. They say it’s just entertainment, but the Energy Corporation knows Rollerball exists to show the futility of individual effort. By 2017, the global economy has collapsed and America’s got a police state. The government pacifies the people by broadcasting games in which criminals fight for their lives. One of these is The Running Man, where “runners” evade “stalkers” and death for a chance at being pardoned. In a Mad-Maxian post-apocalyptic future, there’s no more war. What do they do for fun? Watch and participate in a brutal sport called “The Game.” Roving teams called juggers challenge local teams. Their trophy is the dog skull from the defending town (they all eat dogs.) 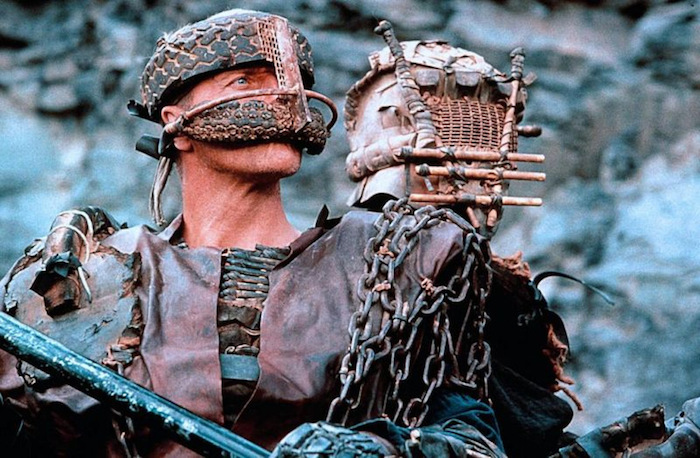 The subterranean-dwelling aristocracy live in nine underground cities, each of which has its own team of pro juggers. This conglomerate is known as The League—like the NFL. It’s every above-earth dog-town jugger’s dream to get into The League and live large. This one’s about Japanese junior high-school students forced by the government to compete in a game where they have to kill each other to win. They wear explosive collars that detonate if they enter a danger zone, and which also discourage defection. A death-row inmate is purchased and transported to a deserted island, along with other similarly bought criminals from other prisons. They have the opportunity to avoid execution and win their freedom by fighting to the death in an illegal game to be filmed and broadcast live over the Internet. In the year 2012, the U.S. economy collapses. Unemployment and crime rates skyrocket, leading to more criminals, in turn leading to privatized profit-prisons. A modern gladiator game called “Death Race” starts up—prisoners are players. The reward? Drivers winning five races in a row will be granted their freedom. 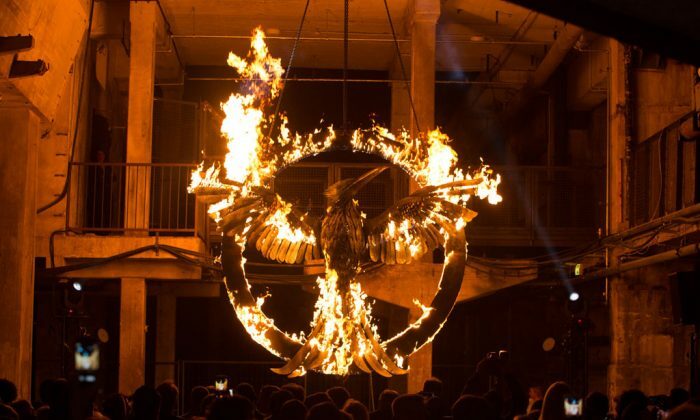 This cynical and unnecessary attempt to splice Suzanne Collins’ "Hunger Games" finale into two movies suffers from spreading the material too thin. Why make one movie when you can whack a book in half, and make two?